Every time that we take money out of an ATM, surf the internet or simply turn on a light switch, we enjoy the benefits of complex engineered systems. Systems like power grids and global communication networks are so ubiquitous in our daily lives that we usually take them from granted, only noticing them when they break down. But how do such amazing technologies and infrastructures come to be what they are? How have systems like these traditionally been designed? And as the demands that we place on these systems become increasingly complex, are these traditional systems engineering practices still relevant? This volume examines the difficulties that arise in highly complex engineered systems and suggests new solutions to these problems. Topics addressed range from the formal representation and classification of complex engineered systems to revolutionary engineering practices inspired by biological evolution. 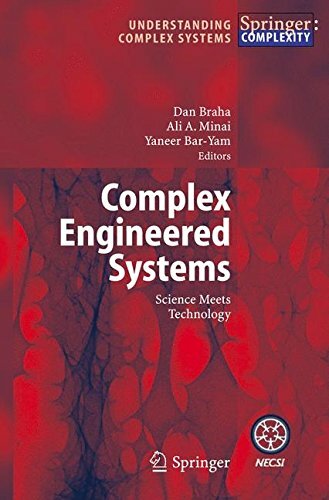 By bringing together the latest research in Complex Engineered Systems, this book sheds light on the current state and future course of this emerging field.